Shrimp boat “Seven Sisters”, registered at Lancaster as LR 10. “Seven Sisters” was built at Crossfields of Arnside in 1906 for John T. Woodhouse, being 28ft 8in in length with a beam of 9ft. 4in., weighing 7.32 tons. 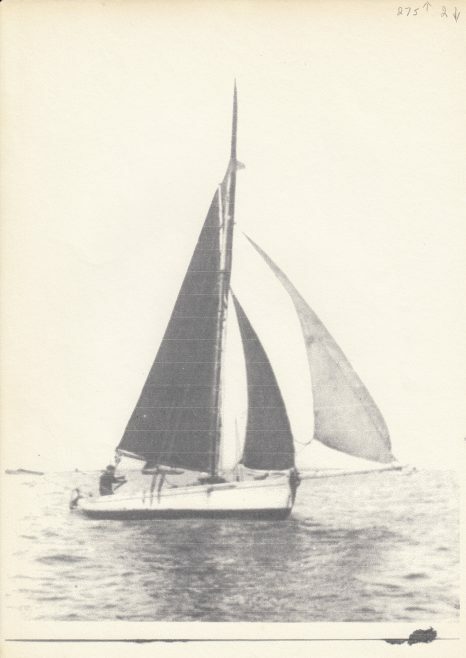 She had an auxilliary motor and was rigged as a smack, with maisail, gaff topsail, jib and foresail.